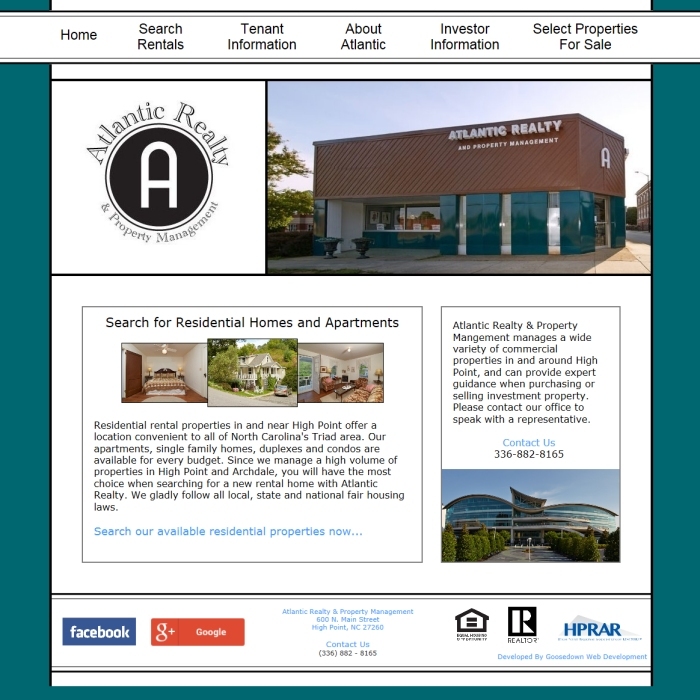 We worked with Strike Anywhere Photography on the design, and also created a back-end that is used daily to update the properties available. 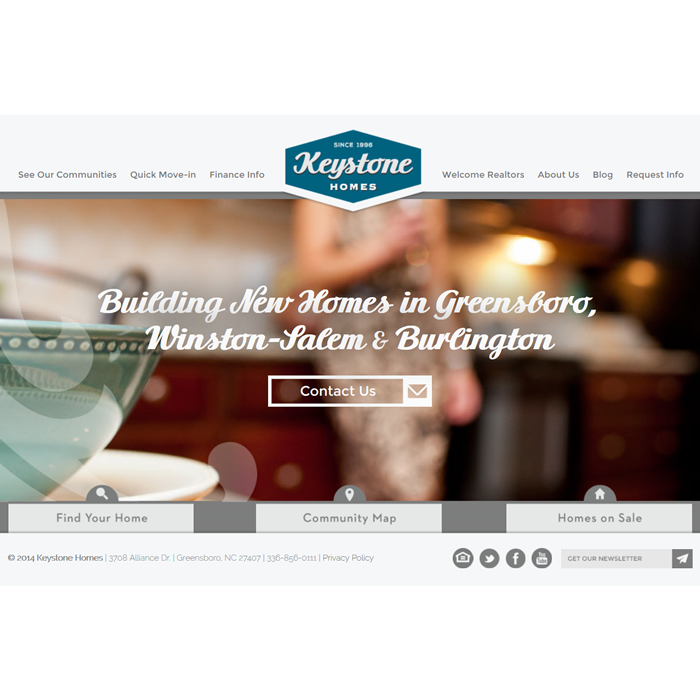 Another simple, easy and effective website by Goosedown Web Development. 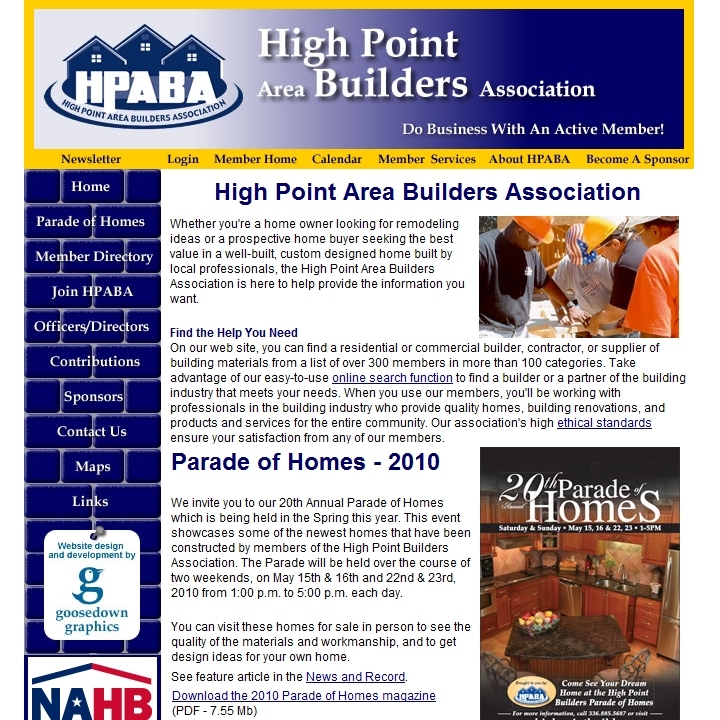 Looking for a new house, or need to sell your current one? Give Cliff or Terry Lamb a call! 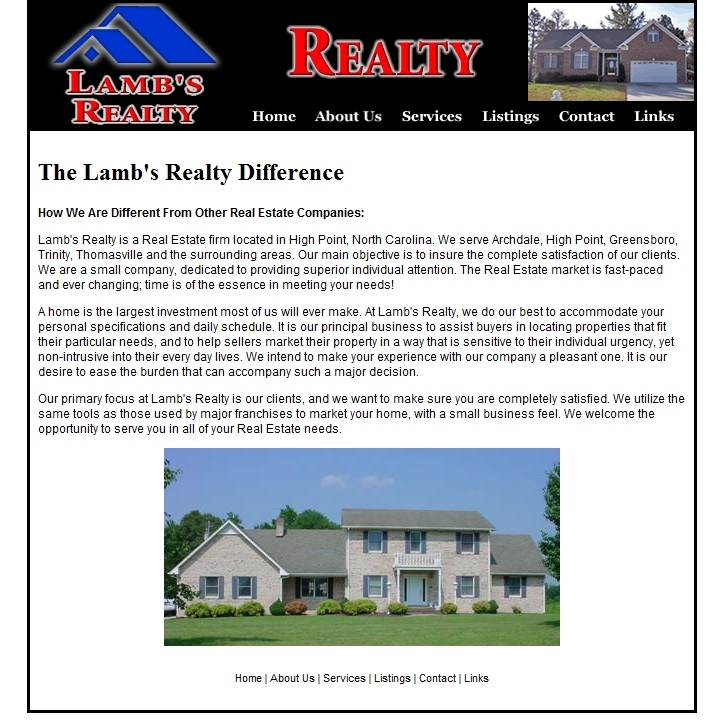 Lamb's Realty knows and understands the real estate market in the Triad area. 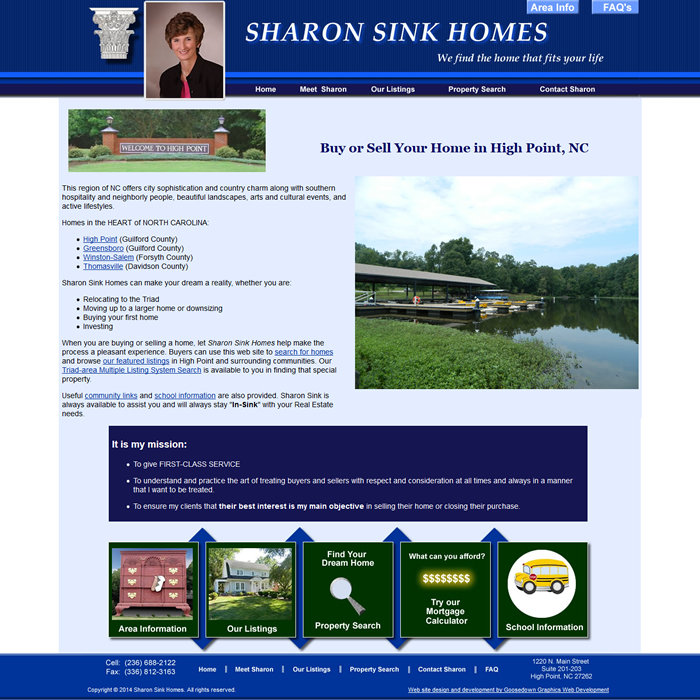 Launched in November 2007, the web site of Sharon Sink Homes offers a property search page, featured listings, plus a mortgage calculator.